Crawfish for a Cause benefits the Arnold Luterman Regional Burn Center. This event will be held at Moes BBQ, 701 Springhill Ave., from 5 until 8 p.m. and will feature live music, auction items, door prizes and more. Tickets are $20 and all proceeds will go to the burn center. For more information call 251-343-0534. AltaPointe’s Mental Health First Aid is an 8-hour training course designed to teach skills necessary to help someone who is developing a mental health problem or experiencing a mental health crisis. Learn the appropriate steps to take in a mental health emergency. Go to www.altapointe.org or call 251-450-4340 for more information. The course starts at 8 a.m. at 2400 Gordon Smith Drive. “Princess Power: Gender & Video Games.” If you’re a lady, you should be here. If you are not a lady, then you are missing out. Mobile Museum of Art’s new Ladies Night series has taken Mobile by storm, creating a platform, not a heel, but a platform for discussions on everything femme. The presentation starts at 7 p.m. at 4850 Museum Drive. The Mobile BayBears take on the Chattanooga Lookouts at Hank Aaron Stadium, 755 Bolling Brothers Blvd. First pitch will be thrown out at 7:05 p.m. Tickets are available online at www.milb.com/tickets. The city of Fairhope will host a Summer Outdoor Farmer’s Market from 3 until 6 p.m. on Thursday evenings starting May 14 and ending July 9. The market will be set up behind the Fairhope Public Library on Bancroft Street downtown. The market will feature local farmers, bakers, fresh Baldwin County produce, fresh-cut flowers, local honey, plants, baked goods and more. The Fairhope Public Library will hold story times and children’s activities at 4 p.m. each Thursday at the market. For general information or for information about becoming a vendor, call 251-929-1466. Every Thursday from 10 a.m. until 9 p.m. the Mobile Museum of Art offers free admission to all visitors. Join MMofA each week to experience the museum in new and exciting ways throughout the year. No reservations are necessary. MMofA is at 4850 Museum Drive. There will be a book signing by Dr. George Sinclair, pastor of Government Street Presbyterian Church and author of “Walking in Wonder,” which explores how we get back up when we repeatedly get knocked down, through a collection of theological essays on ministry. Book signing and talk from 2 until 4 p.m. at Page & Palette, 32 S. Section St., Fairhope. “Murder! What a Drag!” Join the Mobile Mystery Dinners for their next performance at Mobile Carnival Museum, 355 Government St. Advance reservations are required, to make reservations call 251-865-7398. Tickets are $59 and include dinner and unlimited wine. The fun begins at 7p.m. Mobile Area Water and Sewer System (MAWSS) invites young artists to tap into their artistic side for the eighth annual “Fun with Water” watercolor contest. The competition seeks students in grades K through 12 to paint a picture of their favorite summer activity involving water. Deadline is May 22. All entries will be on display at the Bel Air Mall from June 3 through 17. The overall winning artwork will be displayed permanently in MAWSS offices. Official rules and entry forms can be picked up at: Bel Air Mall Management Office; MAWSS Payment Center at 207 N. Catherine St.; MAWSS Park Forest Plaza, 4725 Moffett Road; or by visiting www.mawss.com. Dauphin Island Heritage and Art Gallery is where it’s happening on the Island on the last Friday of each month. “Last Friday Art Night” features shopping for local art, art demonstrations, food, drink and music. Dauphin Island Heritage and Art Gallery is located at 1008 Alabama Ave. For more information call 251-861-3300. “Ark of India: An Alabama Artist Explores Southern Asia” is an exhibit about personal discovery and exploration. It is an account of late 19th and early 20th century India as seen by Alabama artist Roderick D. MacKenzie, using his paintings, drawings, sculptures and, most importantly, photographs and writings. The exhibition is organized by the History Museum of Mobile, 111 S. Royal St. On view until September 1. Admission is free. “Hatching the Past” features 100 real dinosaur eggs and 100 replica eggs at the Exploreum. The multi-media experience for all ages invites visitors to touch real dinosaur bones and reconstructed nests, dig for eggs, experience hands-on exploration stations and view animated video presentations featuring well-known dinosaur experts. The Exploreum, 65 Government St., is open daily. For more information visit www.exploreum.com. Join Fort Morgan as it comes alive this Memorial Day. Historical interpreters, dressed in period uniforms of the U.S. Army from different eras of the fort’s occupation, will conduct special guided tours throughout the day. Demonstrations of artillery, small arms and other ammunition will show the complexities faced by the military garrisons at Fort Morgan over the years. The fun begins at 9 a.m. at Fort Morgan, 51 State Highway 180 W., Gulf Shores. Mobicon is an annual three-day convention highlighting the genres of science fiction, fantasy, gaming, comics, anime and horror. Fans gather at the convention to meet other fans and guests, and to have fun mingling along with raising money for a selected charity. Mobilcon is held May 22 through 24 at the Renaissance Riverview Hotel, 64 S. Water St. For more information and times visit www.mobicon.org. 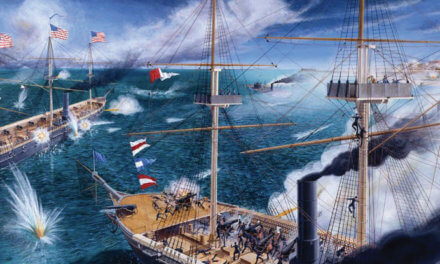 The Dauphin Island Park and Beach Board and Fort Gaines will hold a two-day event, “Thunder on the Bay,” to celebrate the 151st anniversary of the Battle of Mobile Bay on May 23 and 24. The event will showcase a naval battle reenactment, blacksmithing and more. Fort Gaines is located at 51 Bienville Blvd., Dauphin Island. For more information and a complete schedule of events, visit dauphinisland.org/annual-events. The Mobile County Health Department provides low-cost rabies shots for cats, dogs and ferrets during weekend clinics. This weekend’s rabies clinic is at B&B Pet Shop, 5035 Cottage Hill Road, from 1:30 until 3:30 p.m. Cost of the rabies vaccine is $10. For more information call 251-690-8823. Shop for the freshest crop at Cathedral Square in downtown Mobile. This time of year is our favorite because you can buy locally grown tomatoes, potatoes, sweet corn, cantaloupes, watermelons, plants and flowers as well as seafood, baked goods, pastas, casseroles, pies, handcrafted goods and much more. Stay for live music on the green. For more information, call 251-208-1550. Every Sunday throughout the day, take a step inside 5 Rivers Tensaw Theater and catch a free film. This week’s movie is “The Croods.” For more information call 251-625-0814. The annual “Kirking of the Tartans,” a celebration of Scottish heritage and culture, will take place at Westminster Presbyterian Church, 2921 Airport Blvd. A “Kirking” is a church blessing and the tartans are the traditional plaids whose patterns and colors denote specific Scottish clans. The service will begin at 11 a.m., with participants meeting in front of the church ahead of the service. For more information, contact Ken McDonald, president, Scottish Society of Mobile, at per7mare@bellsouth.net. The Mobile BayBears take on the Chattanooga Lookouts at Hank Aaron Stadium, 755 Bolling Brothers Blvd. First pitch will be thrown out at 2:05 p.m. Tickets are available online at www.milb.com/tickets. Join the city of Prichard for their Memorial Day celebration. The ceremony will begin at 10 a.m. and will be followed by a motorcade procession from Love Joy Loop to Prichard Lane to Highway 45 to Bessemer Avenue, ending at Prichard Stadium. There will be a classic car, motorbike and horse show at the stadium from 2 until 4 p.m. For more information please contact Major Joe Womack, USMCR (ret. ), at 251-404-9558. The Mobile BayBears take on the Chattanooga Lookouts at Hank Aaron Stadium, 755 Bolling Brothers Blvd. First pitch will be thrown out at 4:05 p.m. Tickets are available online at www.milb.com/tickets. On May 27 and 29, Cardiovascular Associates in association with the National Stroke Association will be offering a free carotid screening program at 1901 Springhill Ave. The carotid screening exam is the best method for early detection and prevention of carotid artery disease and stroke. A health care professional can detect carotid artery disease using painless, noninvasive diagnostics such as ultrasound imaging technology. Make your appointment by calling 251-300-2240. Come out and listen to the soothing sounds of live jazz as you lunch in Bienville Square around the historic Ketchum Fountain. Catt Sirten sets up live musicians and the city sets up tables for your enjoyment each Wednesday during the spring, 11:30 a.m. to 1:30 p.m. To make your Brown Baggin’ easier, stop in at your favorite Bienville Square eatery and ask for the Brown Bag special. Questions? Call 251-208-1550. Little Discoveries is a weekly series in the Exploreum’s Wharf of Wonder for children 6 and under. Lessons will fuse science, technology, engineering and math with creativity, art and reading. Each session will begin with a story reading that will serve as the launching pad for the day’s hands-on activities. Wednesdays 10 until 11 a.m. and Thursdays 2 until 3 p.m. at 65 Government St. For more information call Josh Holland at 251-208-6893 or email jholland@exploreum.com.